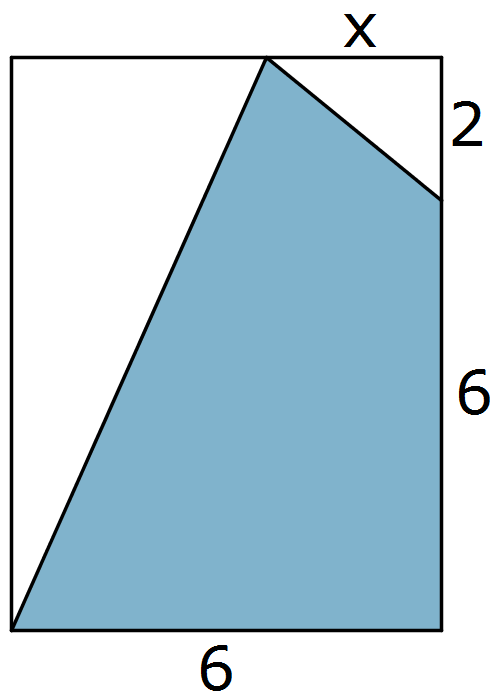 Three-quarters of the area of the rectangle has been shaded. What is the length of $x$? Ratio. Factors and multiples. Continued fractions. Creating and manipulating expressions and formulae. Calculating with ratio & proportion. Generalising. History of number systems. Fractions. Calculating with fractions. Equivalent fractions, decimals and percentages.